Shopping for a new couch gives you the chance to showcase your personal decorating tastes, and that doesn't change if you have a dog or cat in your family. While you do need to consider which fabrics, styles and colors will work best with your pets, you can still choose a couch that matches your style. With some smart shopping, you can find a perfectly stylish and pet-friendly couch. As you start browsing for your new couch, you'll find a plethora of fabric options. Should you choose velvet, microfiber, leather or something else? Look for fabrics that won't collect pet hair and oils. Some fabrics, like velvet, attract hair like a magnet. Instead, opt for something you can wipe off easily, like leather. You'll find that the leather is durable enough to withstand a pet's claws with little more than surface scratches. If you prefer fabric, consider microfiber. Pet Adviser indicates that microfiber repels stains, so any occasional accidents are easily treated. While pet hair will stick to it, you can get it off with the vacuum or a lint roller fairly easily. If you find it's sticking, spray the couch with water or an anti-static spray and then wipe. Slipcovers are amazing when you have pets. Add a slipcover in a washable material, and your pet can enjoy the sofa all the time. When it gets a little too dingy, just pull it off and throw it in the wash. Slipcovers can be quite stylish as well. If you have visions of grandma's outdated couch covered by an old sheet, rest assured, today's slipcovers have come a long way. They fit nicely and look like they are part of the couch. If you have a black lab and a white sofa, you're constantly going to be battling hair. To help hide the occasional stray hair, choose a color that matches your pet's fur. When you buy sofas at macys.com, you can use their quiz and sofa finder to select the style you want in a color that will go with, not against, your pet. 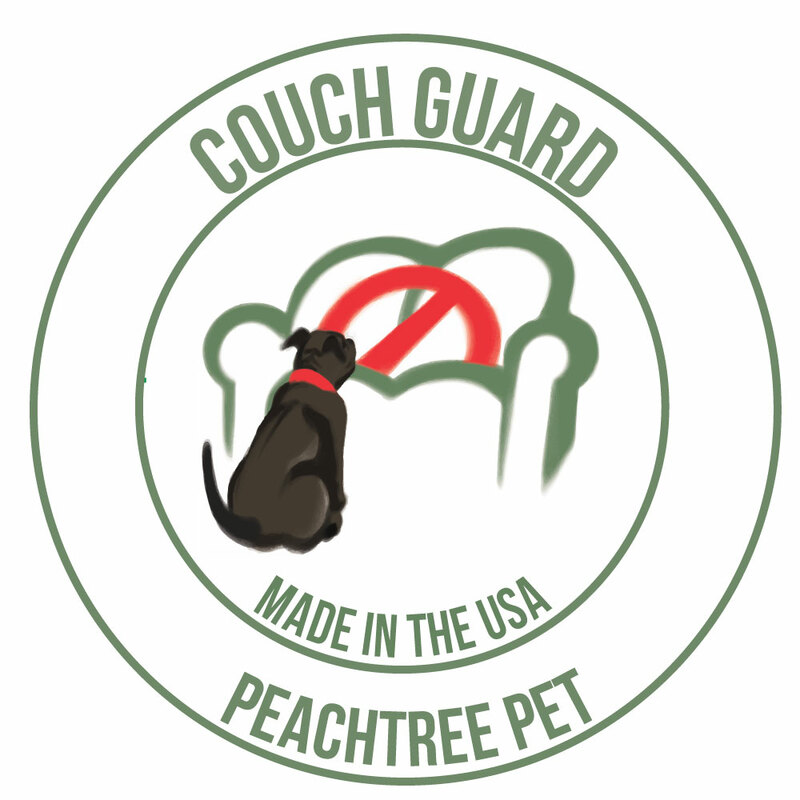 No matter what couch you choose, your pet will leave behind the occasional stain or odor. Pet MD recommends using non-toxic cleaners, such as baking soda and vinegar, to protect your pet from the harmful effects of chemical cleaners. As an added bonus, these natural cleaning items won't damage the material on your couch either.